FRANKFURT -- Volkswagen Group said it has teamed up with Amazon Web Services to link up and integrate the data from 122 global plants, machines and systems, as a way to improve its production systems and processes. Amazon will help Volkswagen connect its plants and supply chain with over 30,000 locations and 1,500 suppliers using a data platform known as the "Volkswagen Industrial Cloud," the company said in a joint press release with Amazon. The cloud platform could be made available to other automakers and specific negotiations with major industrial companies interested in migrating to the Volkswagen Industrial Cloud are already underway, VW and Amazon said. 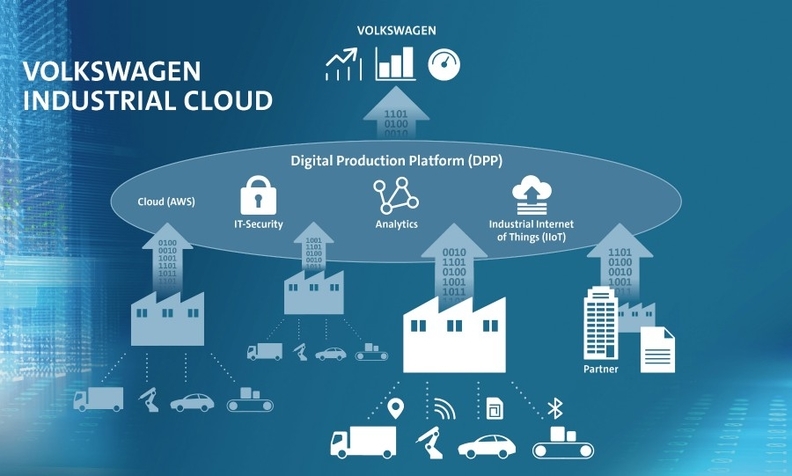 The cloud helps VW to detect supply bottlenecks and process disruptions early as well as to optimise the operation of machinery and equipment. VW Group's 122 plants worldwide employ 650,000 workers and produce brands such as Audi, Lamborghini, Skoda, Seat, Porsche and the core VW marque. Amazon's machine learning analytics and production know-how will be extended to the requirements of the auto industry, VW and Amazon Web services said.